VIDC recognizes that to truly provide state-of-the-art care we need to continually inform and re-inform ourselves of what’s current. This month we had the privilege to do just that! Through different initiatives and community involvement, VIDC was able to reconnect itself with the national and global healthcare community! On July 21st, HIV Specialists and Healthcare Professionals — including a representative from the Chinese Center for Disease Control — visited our clinic for an information exchange. Dr. Brian Conway, the President and Medical Director of VIDC, gave a presentation on what VIDC is doing in the HIV field. After the presentation, he opened the floor to dialogue with the Chinese delegates on the similarities and differences of dealing with HIV. 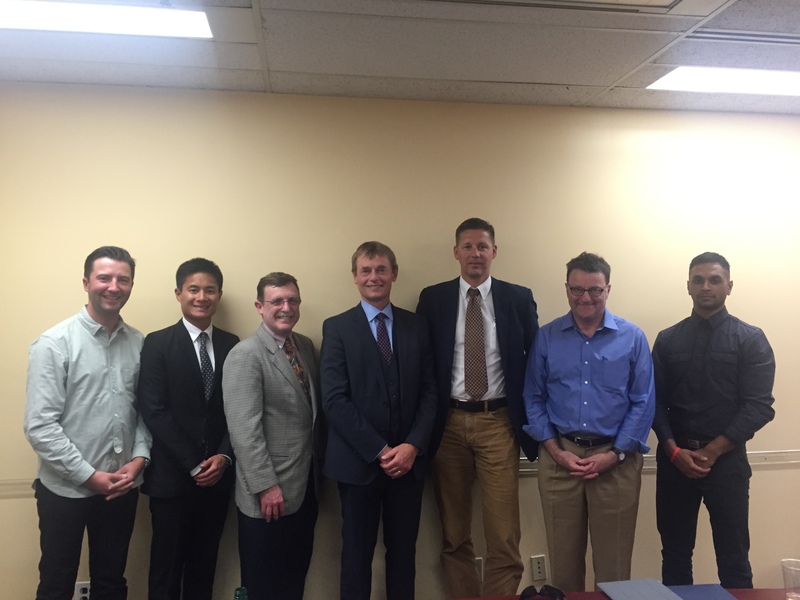 Since Dr. Conway is also the Co-Chair for the Ministerial Advisory Council on the Federal Initiative to Address HIV/AIDS in Canada (MAC-FI), VIDC had the privilege of hosting the council’s meeting with Canada’s Chief Public Health Office, Dr. Gregory Taylor. 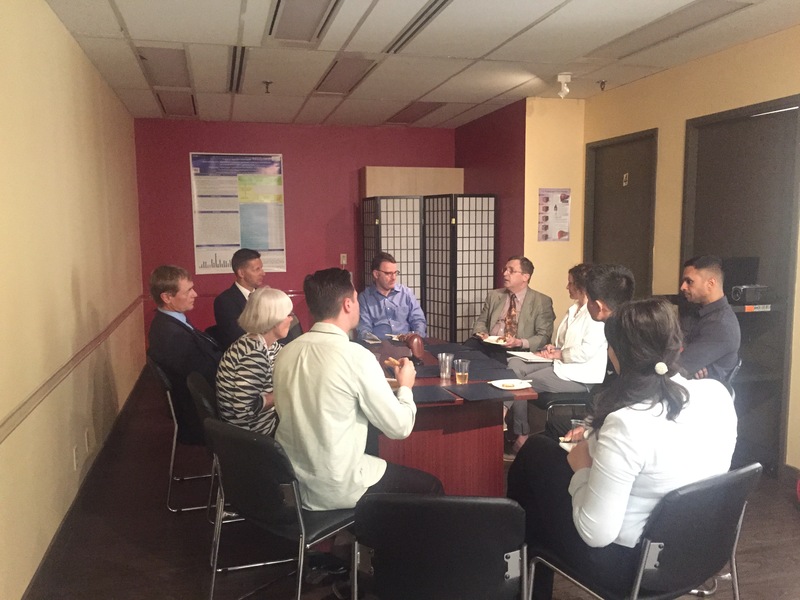 Aside from the council members, VIDC staff physician Dr. David Truong, our HCV Clinical Research Nurse and Research Manager Shawn Sharma, and our Regulatory Manager Syune Hakobyan were also invited to the meeting. 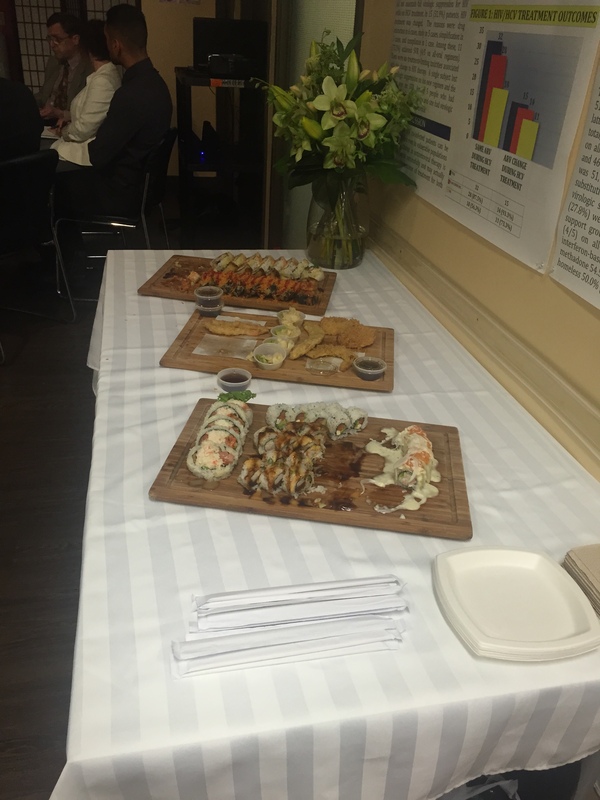 To welcome the council members and Dr. Gregory Taylor, VIDC did what any Vancouver-based organization would — serve Sushi Rolls. These scrumptious ones were courtesy of Sushiville on Davie St.
On July 23rd, we had the opportunity to have an information exchange with Healthcare Professionals from Australia to discuss HIV and HCV Co-Infection. 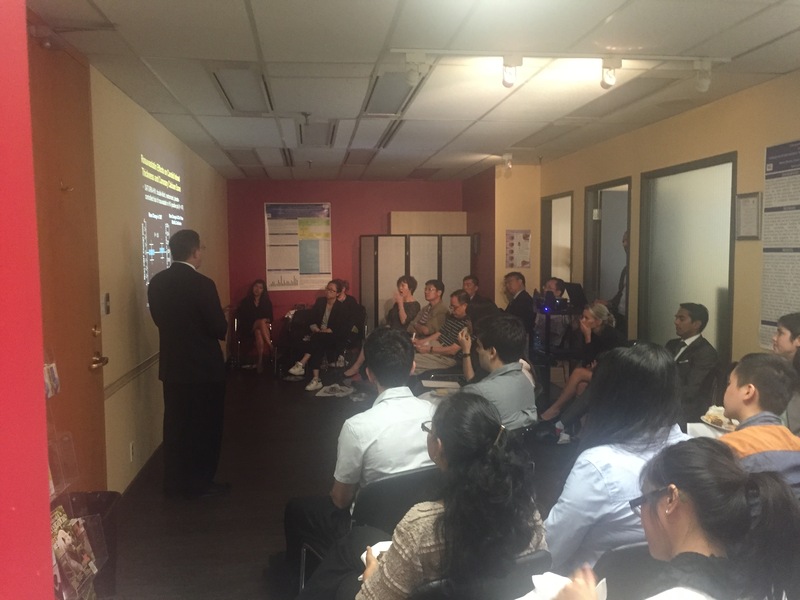 Dr. Conway gave a presentation on what we know of HIV and HCV Co-Infection in Canada and how we are dealing with it. And then there was an open dialogue on the similarities and differences of the VIDC model with that applied to the situation in Australia. 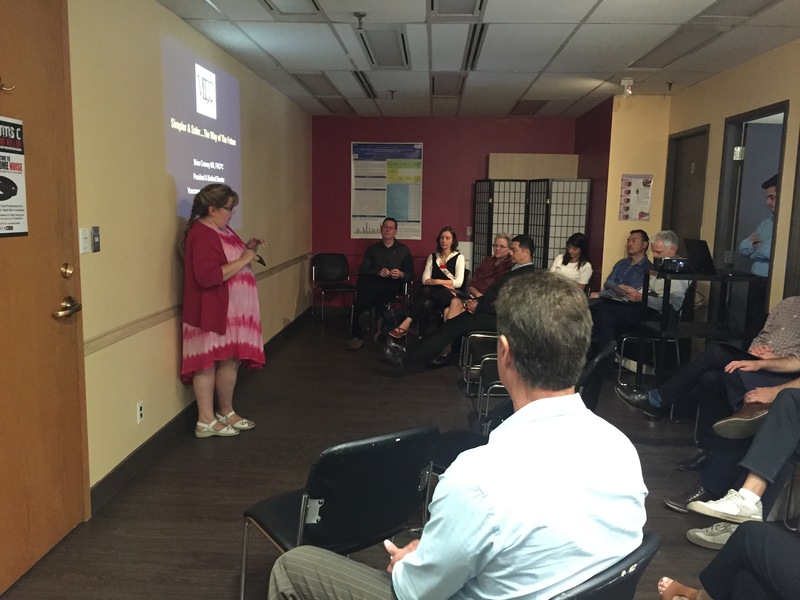 One of our staff physicians, Dr. Alexandra King, also gave a very brief presentation on the status of HIV and HCV epidemic among Canada’s First Nations, Inuit, and Métis communities, and what projects VIDC will be developing to address these issues. 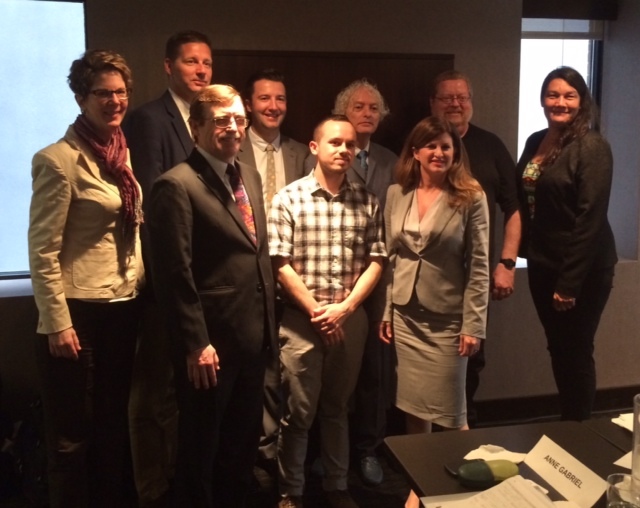 Congratulations to our President and Medical Director, Dr. Brian Conway, for being reappointed as the co-chair for the Ministerial Advisory Council on the Federal Initiative to Address HIV/AIDS in Canada (MAC-FI)! 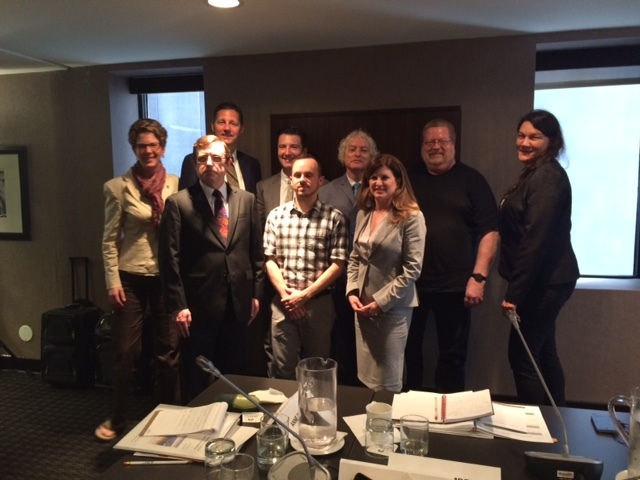 Ministerial Advisory Council on the Federal Initiative to Address HIV/AIDS in Canada at their first meeting for the year last June 15, 2015. From left to right back row: Dr. Jacqueline Gahagan, Dr. Curtis Cooper, Ciro Panessa, Dr. Gerry Mugford, Kenneth Monteith (Co-Chair), Denise Thomas. Front Row: Dr. Brian Conway, Rodney Rousseau, and the Hon. Rona Ambrose. You can read more about it (en français) from the Fédération des francophones de la Colombie-Britannique blog here.